Little about the ordinary-looking two-family at 15 Radnor Road screams premium real estate. Built in the 1920s, its wood shingles are warped and cracking in places. There is no lush landscaping or garage parking, and in the summer it is cooled by a rusty air conditioner chained to the roof. Yet in July 2013, the house off Commonwealth Avenue sold for more than $1 million, nearly 60 percent above Brighton’s median sales price for two-family houses . Its buyer, Chicago investor Joanna London, wasn’t simply after the house, but a far more lucrative opportunity: renting it to college students. Last fall, 15 Radnor was filled with at least a dozen Boston College undergraduates, including eight who lived in one unit, according to two of the renters and a Boston police incident report. Police report after party at 15 Radnor Rd. That is a violation of city zoning which limits occupancy to four full-time undergraduates, but it makes it possible for London to collect thousands of dollars in additional rent. Overcrowding student rentals to maximize profits is hardly unusual in this corner of Brighton, or on many other streets near the city’s college neighborhoods. 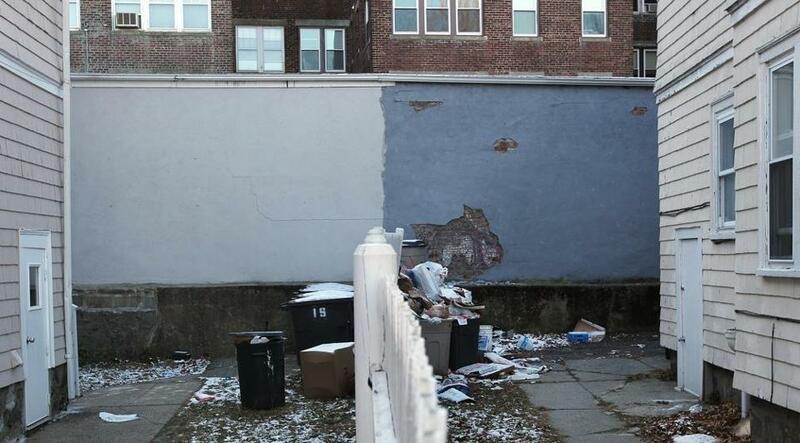 An investigation by the Globe’s Spotlight Team found that these widespread violations are wreaking havoc in once cohesive neighborhoods that are being emptied of the families that had sustained them. Home prices have skyrocketed in recent years, as ever-rising rents paid by students attract investors who can easily outbid any family or young couple in the market for a home. The side effects of overcrowding, the noise and disruption that afflict the surrounding neighborhoods, are not factored into the financial calculus; there is simply too much money in Animal House. And so Boston finds itself in something of a Prohibition Era in rental real estate, with violators operating in plain view of regulators who say they are powerless to stop the law-breaking and, in fact, rarely try. Within walking distance of Boston College, Gerald Road, a short street in Brighton, has at least 15 student apartments. Boston Inspectional Services Commissioner Bryan Glascock concedes his department almost never issues citations for overcrowding, as his staff is stretched too thin to chase students and property owners who both have an interest in concealing such violations. The beneficiaries of these abuses are not only the landlords who own the overstuffed properties, but also the brokers who sell and rent them, and the banks that, knowingly or not, underwrite loans based on income derived from overcrowding. “It seems like they don’t have any regulations on the number of people,” said Kay Mathew, a grandmother who was forced to move out of Mission Hill last year after she couldn’t find a suitable place for less than $3,000 a month. Each student who lives off campus is worth roughly $700 to $1,000 a month in rent, depending on the location. And, as more of them flood into city neighborhoods, investors are willing to pay top dollar for properties to rent to them. In Mission Hill, which is surrounded by Northeastern, the Wentworth Institute of Technology, the Massachusetts College of Art, and other schools, many multifamily houses sell for more than $1 million. One three-family at 44 Hillside St. was recently sold to an investor for $1.53 million. The last time it changed hands, in 2002, it sold for $225,000. A few blocks away, at 93 Hillside, another three-family sold for $1.42 million in 2013, up from $630,000 in 2002. Some investors are renovating their properties to make them more appealing to student renters, which contributes to the increase in prices and property values. But even buildings that require significant updating are fetching sky-high prices. Last spring, longtime resident Noreen Loughran sold the house she grew up in on St. Alphonsus Street for $1.5 million. She had wanted to sell it to a family, but ended up with half a dozen bids from investors interested in turning the property into rentals. Students are not the only group contributing to housing demand in the neighborhoods around Boston’s colleges, as young professionals, couples, and families are also pursuing those units. But graduates and undergraduates are the most powerful and conspicuous force in these markets, and they are also the most profitable for investors who can rely on them to pay high rents regardless of a property’s condition. The dynamic is reinforced by landlords who seek to maximize their income by reconfiguring older two- and three-family homes to pack in even more renters, converting dining and living rooms into additional bedrooms. In some instances, the Spotlight Team found properties with illegal rooms in basements and attics that created hazardous, sometimes life-threatening, conditions. 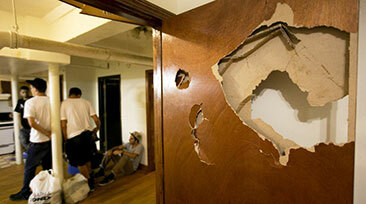 In addition to those dangers, the properties often become magnets for rowdy behavior. For example, the house purchased by London on Radnor Road in 2013 has been a neighborhood nuisance for years, drawing 65 police calls between 2005 and mid-2013, the most of any house on the street, according to police data examined by the Globe. In late 2012, police alleged that the house was “illegally occupied’’ by 13 BC undergraduates, although when city inspectors finally checked five months later, they found no violation. 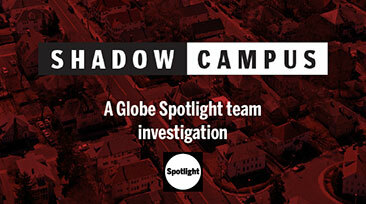 London, in an e-mail obtained by the Globe, assured police last year that she intended to evict four of those students. But they were already scheduled to leave the property before such an eviction proceeding could be carried out, according to two of her former renters. The company that London manages wrote to the Globe last month that it has a “zero tolerance” for overcrowding, and denied that any had occurred. The company also provided an e-mail statement from one of her former tenants, Daniel Terceiro, in which he said he was no longer certain — as he had told the Globe in a tape-recorded interview — that 15 Radnor was overcrowded. But when a reporter later asked Terceiro about that e-mail, he said he had provided it, in part, to protect his former roommates still living in London’s unit. And then he repeated what he had told the Globe in December: When he lived in London’s unit, he was one of eight renters there. London declined repeated requests to elaborate on her rental practices, or to be interviewed. Boston is not alone among American cities in struggling with the economic pressures and quality-of-life concerns powered by a large and housing-hungry student population. But its compact size and densely-packed neighborhoods make it especially susceptible to those pressures, as the houses near campus become obvious targets for speculators. “This reality has created intense competition for housing near colleges, and investors are now paying top dollar for buildings that they can rent by the bed to students,” stated a 2013 study of the housing market by a city panel. The panel recommended the construction of 10,000 student housing units by 2020. That amount of new inventory would only partially alleviate the shortage of university-built housing. The number of students attending colleges with campuses in Boston and living in private residences in the city jumped 36 percent from 2006 to 2013, to more than 45,000, flooding the already overheated housing market with thousands of additional renters. The combination of low supply and high demand has sent sale prices and rents soaring. Last year, a consultant paid by Northeastern to assess the neighborhood impact of the university’s students concluded they constitute a small percentage of the area’s total residents and thus do not significantly inflate housing costs in Mission Hill or the Fenway. But Northeastern is far from the only school with students living in those neighborhoods. A Spotlight Team survey of students living in Mission Hill also indicated that 24 percent of 58 properties included in the survey had at least five undergraduate tenants, in apparent violation of the city’s standards. Some of the offending two- and three-families had 14 or more students, exerting an unmistakable impact on prices. 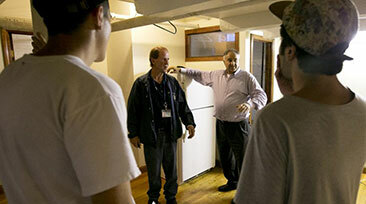 At 226 Calumet St., a group of investors that bought the property for $819,000 in 2012 is making about $165,000 in annual rental revenue by leasing the three-decker to 14 students. In recent months, two of the three apartments were being rented to five undergraduates each, according to the tenants, a clear breach of the no-more-than four ordinance. In November, the address turned up on the city’s list of problem properties after repeated 911 calls about loud parties and multiple trash violations. Gregory Grant, one of the managers of the property, said the tenants were told that their leases would not be renewed because of the parties they hosted in violation of the rental contract. But Grant was openly dismissive of the no-more-than four law and questioned regulators’ ability to enforce it. He disputed that his property is overcrowded by any meaningful definition, arguing that it has enough bedrooms and bathrooms to comfortably accommodate the renters. A state court rejected a challenge to the law filed by other landlords in 2010, but enforcement has remained problematic. City housing inspectors say it is difficult to get search warrants required to aggressively pursue overcrowding, and the Spotlight Team found that property owners commonly ignore the rule — and profit from doing so. Meanwhile, the pricing pressures the law sought to limit have significantly worsened, transforming the composition of entire neighborhoods. In recent years, ownership in Mission Hill has tipped in favor of speculators, with 58 percent of the properties in its main ZIP code now investor-owned, up from 48 percent in 2003, according to a Globe analysis of city property records. Steven Lee and his wife, Pauline Chin, have watched the change unfold over 40 years of living in their home on Radnor Road. Each year, they see the same real estate tour take place at the big house across the street where a quiet family once lived. “We see groups of seven or eight students waiting around for the realtor to show them the place,’’ Chin said. “They’ll just bring in a truckload of students and walk them through,’’ Lee said during an interview in his boyhood home. The competition for these multifamily properties is so fierce that owners often find their mailboxes stuffed with unsolicited offers from real estate agents. People who have lived for years in these neighborhoods say that, even as the value of their properties soar, their quality of life is being destroyed. 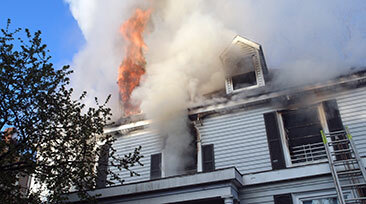 Two properties on Radnor Road in Brighton, which is within walking distance of Boston College. 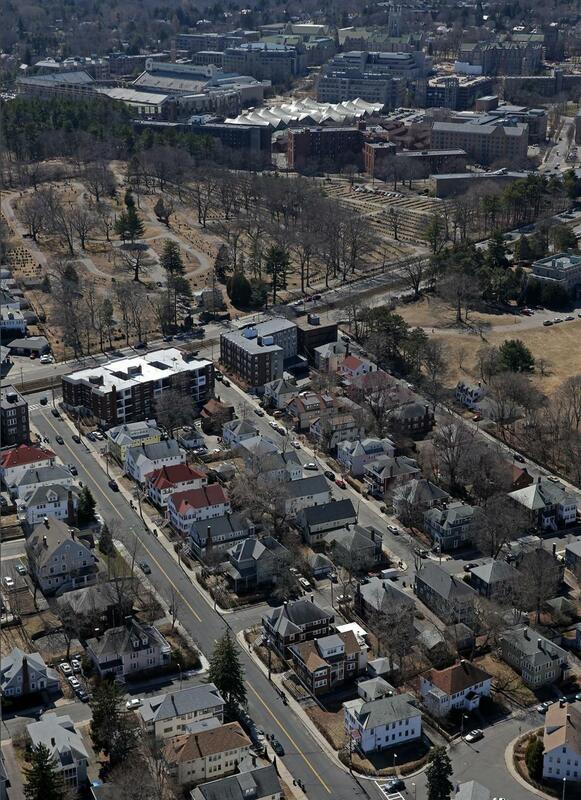 Robert Dunne said his Allston neighborhood no longer resembles the place where he grew up. A burly man with a genial disposition, Dunne has lived on Pratt Street all his life and spent his childhood among solid working-class neighbors — TV repairmen, teachers, union tradesmen, gasoline station managers. But as Boston University began its inexorable march down Commonwealth Avenue, its students — and those from other schools — began to displace long-time residents. As he sat on the front-porch bench of his well-kept home, Dunne gestured to the nearby homes — a tableau of peeling paint, sagging porches, and rat-gnawed lattice work. He tapped the air with a finger, conducting an informal neighborhood real estate survey. Boston Police Sergeant Michael C. O’Hara, who supervises police efforts to patrol the party neighborhoods of Allston and Brighton, cautioned students during a meeting about off-campus housing that they need to be respectful of their neighbors. He also told them they should be wary of absentee property owners. “They just want your money,’’ he said.